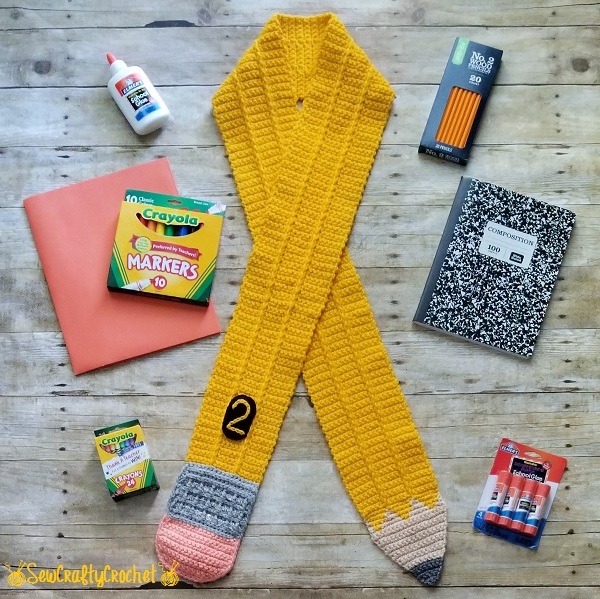 So it's the beginning of August and some kiddos are heading back to school already! When we lived in WA, school started after Labor Day. But here in GA, school started yesterday (August 3rd)! My daughter is a 2nd grader, and my son is in Pre-K. They both had a great first day of school, but the pick up line was ridiculous! It took an hour to get my kiddos! Anyhoo... 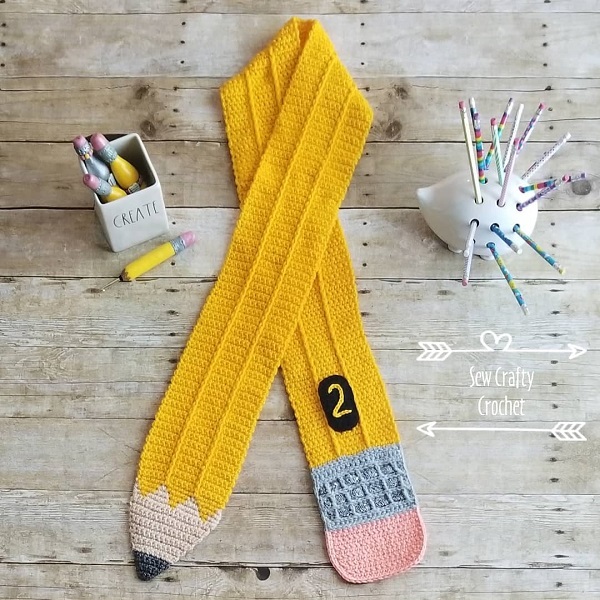 So I've crocheted a couple pencil scarves since it is back to school time. The yarns I used for this scarf are Red Heart Super Saver Charcoal , Vanna's Choice Beige , Big Twist Premium Tumeric, Red Heart Soft Light Gray Heather , Red Heart Boutique Sashay Sequins Smoke, and Big Twist Premium Salmon. 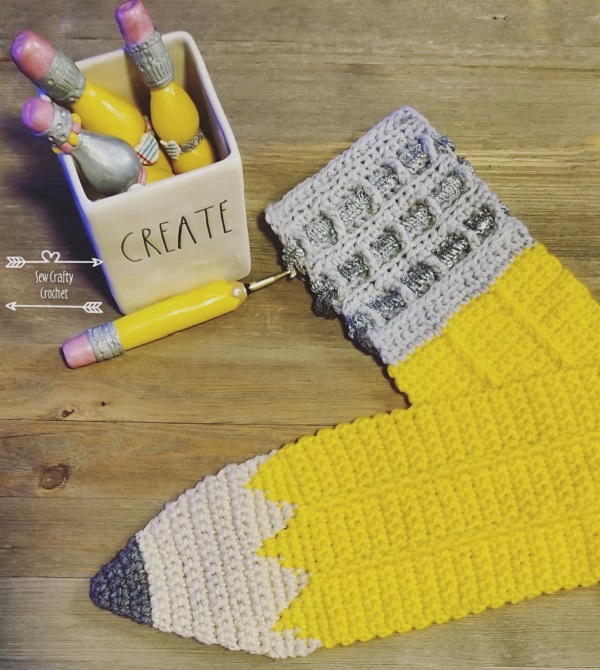 Of course, I had to crochet my pencil scarves with my Pencil Crochet Hooks! 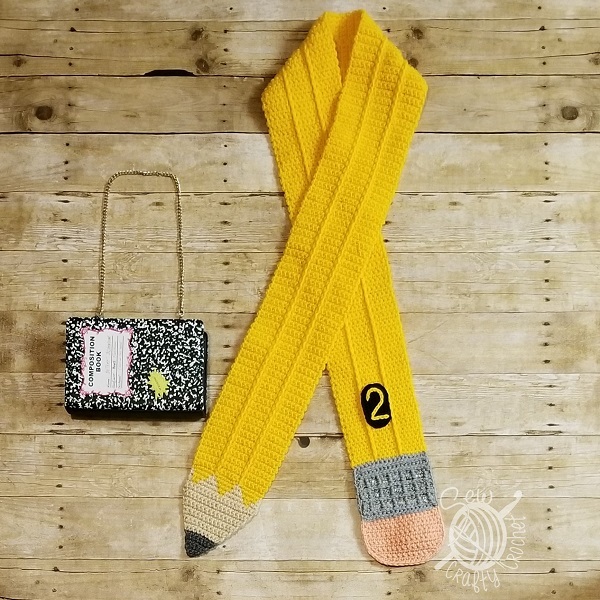 For this scarf, I start with the pencil lead and end with the eraser. I make these scarves about 70 inches long. 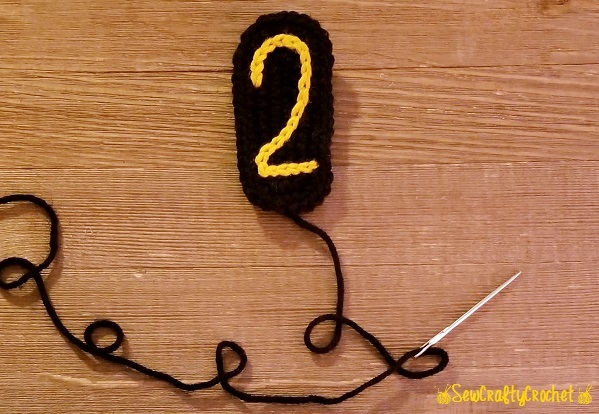 After I've completed the pencil eraser, I crochet a black oval and stitch the number 2 on it. 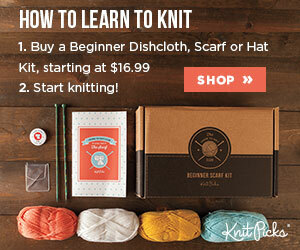 Then I sew it onto the scarf with a yarn needle. 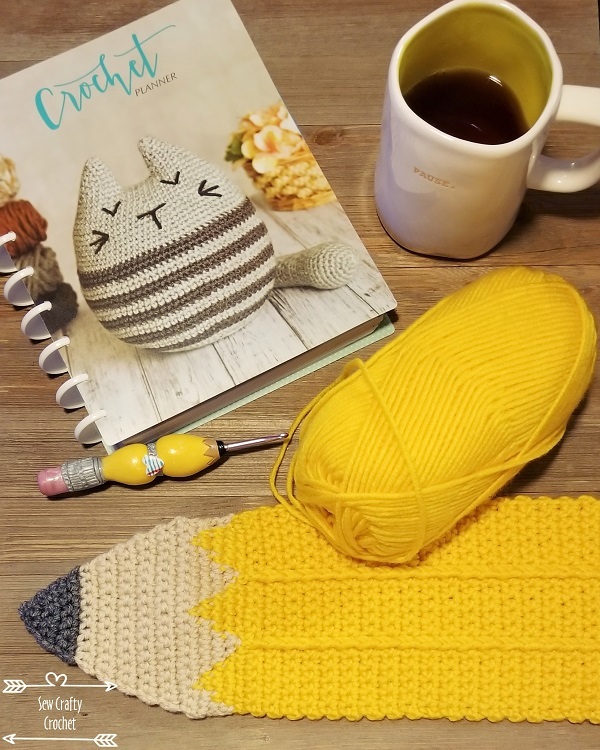 I recently bought a cute crochet planner, and I've written that I'll be making several pencil scarves for my Etsy shop. 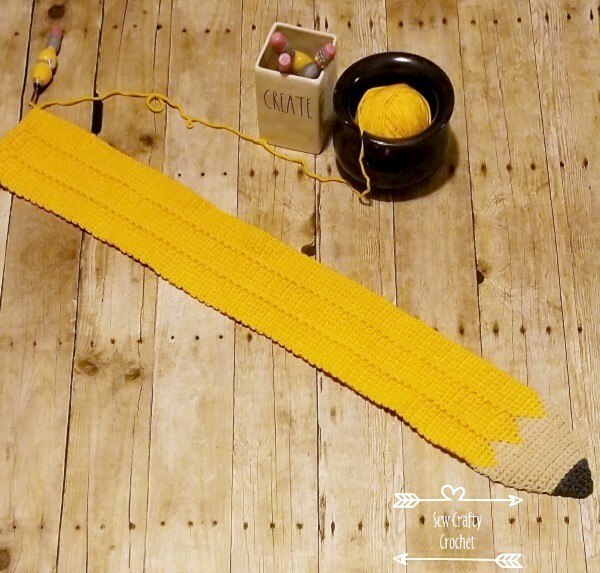 Making the zigzaggy part where the wood and yellow meet is the most complicated part of the scarf. I love adding a little sparkle to my creations when I can. So far, I've made four of these pencil scarves. 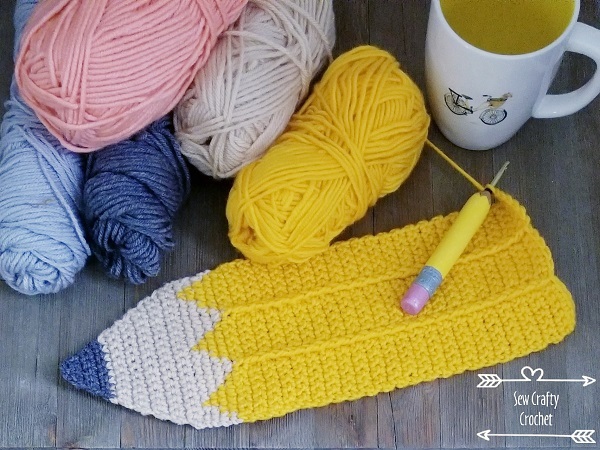 Although I'm making these pencil scarves for my Etsy shop, of course, I have to keep on for myself! And I can't wait for Fall, so I can wear my scarf with my new Betsy Johnson Composition Notebook Purse. I love your crocheting skills! 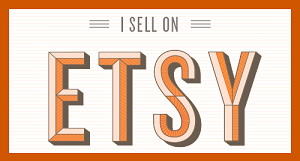 And I'm glad I found out you have an etsy store. That is adorable! I love the bit of sparkle too. 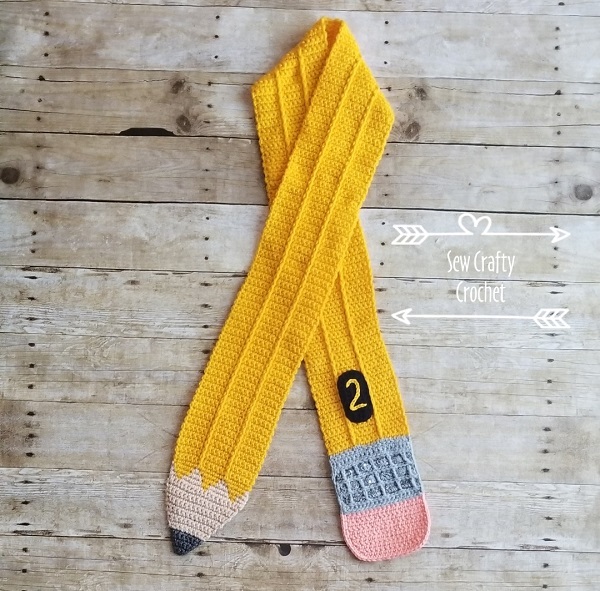 It would make a great teacher gift. Pinned. 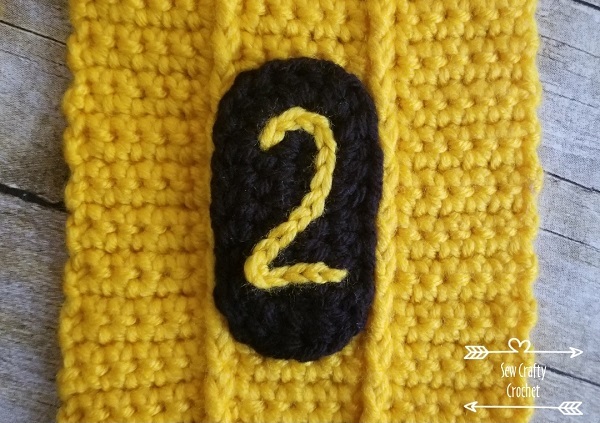 Your crochet talents never cease to amaze me! LOVE this scarf! I agree that it would make a nice teacher give! Pinned. Super Cute! 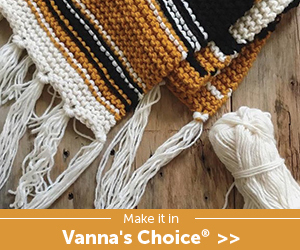 I love your crochet projects. Your scarves always make me smile. So fun and it's perfect with the composition purse. Such a neat scarf! 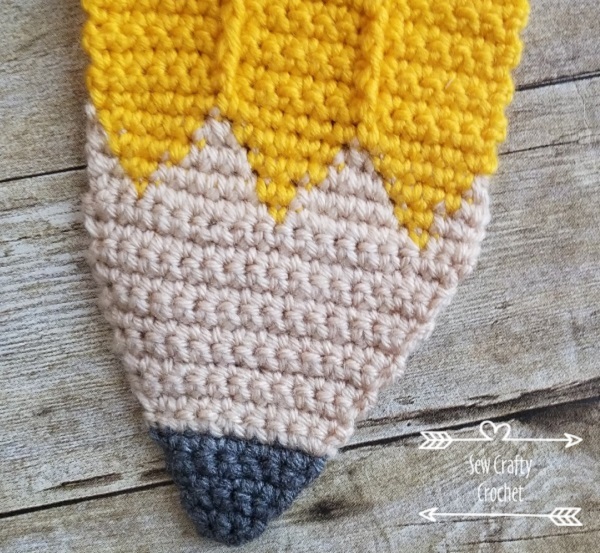 I'm really digging those pencil crochet hooks as well! 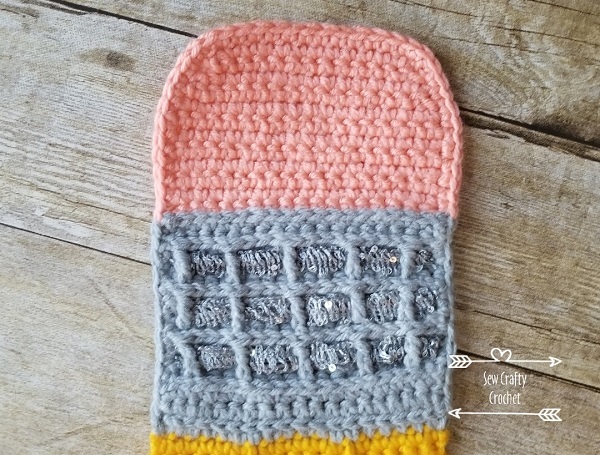 Two questions - do you sell the pattern & where did you get the crochet planner? 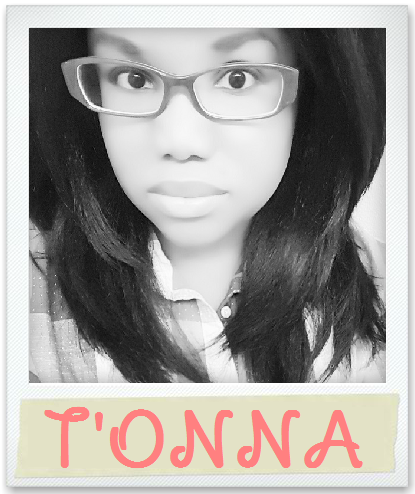 So cute T'onna! I'm going to use this as one of my features this Saturday at the Snickerdoodle party! As another former teacher this is definitely a gift I wouldn't have minded receiving. Being outside for various duties that scarf would have been a useful teacher gift constantly in use. Oh yeah! This would be perfect for cold days during recess and dismissal time.